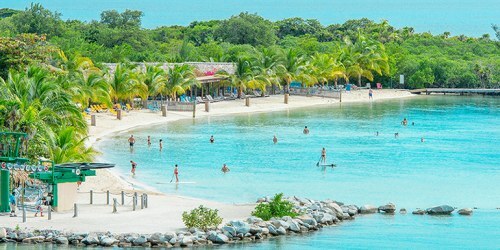 Sunwing has dropped the price of a last minute flight from Toronto to Roatan, Honduras down to $450 CAD roundtrip including taxes. Great prices to Roatan don't come up very often, especially involving non-stop flights. Update 12/9 - The price has dropped to $410 CAD roundtrip including taxes. Airbnb is showing quite a few 'instant book' rentals available for December 12th to 19th. You'd probably only want to use instant book rentals, as there isn't much time to hear back from the host. The average price per night is still quite high ($246 CAD), but there are 22 places available for under $99 CAD/night for 2 people. About 7 or 8 of them have good reviews. toronto, yyz, flight deals, central america, sunwing, roatan, honduras and rtb.